Disruptive or promising? Both have been used to describe blockchain technology’s impact on business. Cryptocurrency awareness is spreading, and investments in tokens are on the rise. But just how are the decentralization effects of blockchain-based cryptocurrencies disrupting and democratizing the venture capital industry? Will blockchain technology threaten to displace venture capital? And what are its potentials for crowdfunding? A traditional start-up is focused on developing and marketing a tangible product or service. But what if they created a self-sustaining circular economic ecosystem that was supported by its own currency or tokens? This idea brought to life the blockchain-based start-up. Blockchain crowdfunding would then be the obvious next step in the evolution of start-ups, providing the service or token creation and management and merging the best of two worlds. By allowing start-ups to create their digital currencies to sell, they could raise funds from early investors which also allows the investors to potentially make money should the value of their cryptographic shares increase. Just like normal shares in a traditional project, the cryptocurrency tokens will have the potential to go up in value. And because they are accounted for by the blockchain, they’ll be kept track of. If blockchain-empowered crowdfunding platforms may be able to provide the same services that venture capitalist provide, what does all this mean for the traditional venture capitalist whose expertise, network, mentoring and support were what made them valuable to start-ups in need of raising capital? Can innovation replace experienced investors who have extensive knowledge in sorting, signaling, and supporting early-stage start-ups who are seeking customers, employees, or future funding? Blockchain tokens issued by start-ups during an initial coin offering (IPO) are a more liquid asset compared to traditional stock in a private company held by venture capital firms. Venture capital funds have to 10 years, at most, to calculate their IRR and verify their results. Blockchain tokens, on the other hand, are immediate thus revealing a company’s momentum in real-time. In efforts to secure the future in VCs, we’re now seeing venture capitalists and established firms seriously exploring investment in tokens or crypto-funds who are trying to get their limited partners on board. And it was only a matter of time before we would start hearing about smaller VCs considering setting up their own crypto-funds. VCs can certainly get creative by raising a portion of the fund by investing in cryptocurrency tokens or invest in the economy created by an ICO. Traditionally, venture capitalists received preferred shares by buying private equity. Now they can acquire shares or in the case of this new model, cryptocurrency tokens that have been issued by the start-up. 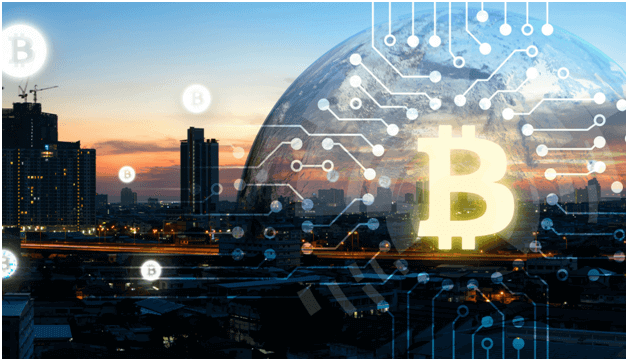 However, some experts argue that it may it be a little too late for VCs to jump on the blockchain revolution bandwagon that’s already gained so much momentum that’s it’s left them behind.